What better way to praise Him than with shouts of love? Inspired by all the love that abounds in the books of the Bible, You Are Loved will help you connect with those you love this Valentine’s Day. 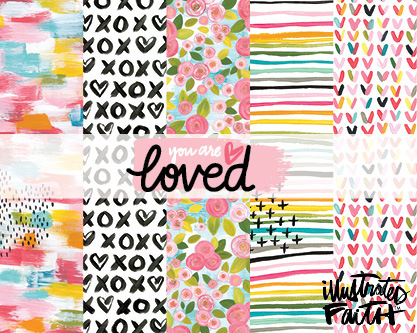 Share God’s everlasting love, along with your handmade hugs and kisses with this collection featuring hand-painted patterns and lettering by contributor Stephanie Buice. 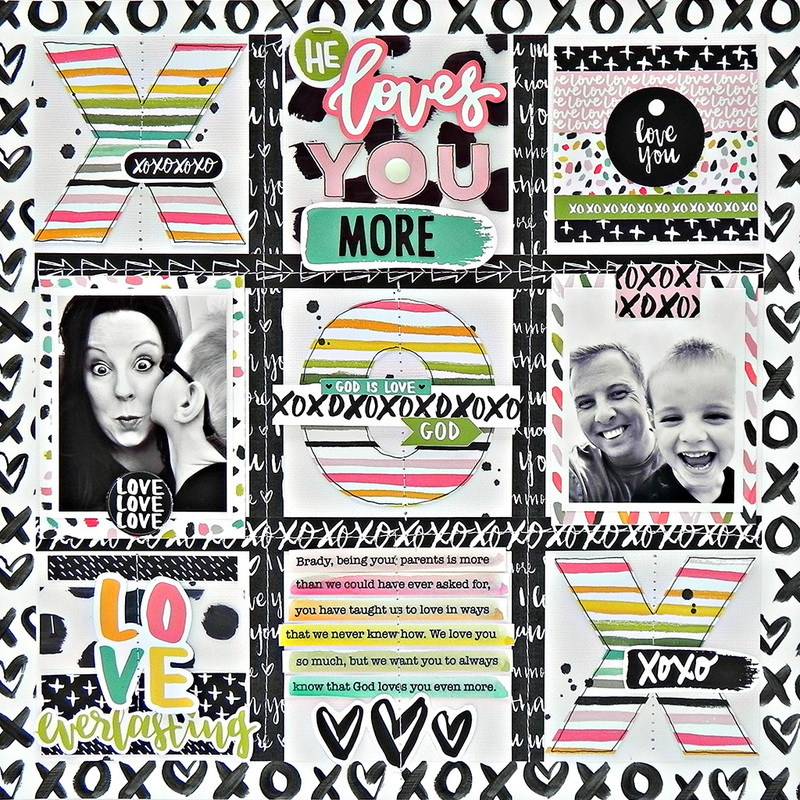 You Are Loved includes five double-sided patterned papers, one embellishment paper, coordinating cardstock stickers, washi stickers, Paper Pieces,™ 6x8" paper pad, Tabbies,™ clear stamps, Designer Clips™ and Gift Tags. Plus, all new products including a 2x7" Tip-Ins,™ paper pad with list prompts and quotes that fit perfectly in journaling Bible margins and a 6x8" Clear Cuts™ transparency pad with icons and patterned pages you can layer with other papers.